The real story of a major sporting scandal that rocked the nation, as told for the first time by those who paid a heavy price, personally and professionally, for their indiscretion. Half a century ago, leading footballers Peter Swan, Tony Kay and David Layne were jailed and banned from the game after being found guilty of conspiracy to defraud bookmakers. Taped evidence – used for the first time in an English court – played a key role in the conviction of the trio. The search is now on to try and find the audio tape. The presenter will travel in search of the crucial tape that led to the downfall of the three top footballers. Along the way, the three key figures will be interviewed on camera, providing first-hand accounts of the background to the scandal that shocked sixties Britain. Other well-known football personalities will also talk about the scandal and the impact it had on the nation. Those interviewed include World Cup winner Gordon Banks, who grew up with Layne and recounts tales of the pair playing football together as children in their local park in Sheffield. What became of the damning audio tape? Can it be uncovered after all these years? In 1964, the Sunday People newspaper ran a story they billed as ‘The Biggest Sports Scandal of the Century’. 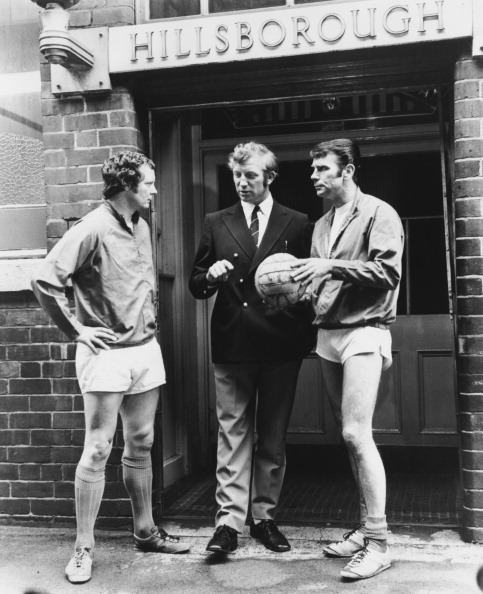 Swan, Kay and Layne were alleged to have thrown a game they were involved in between Ipswich Town and Sheffield Wednesday in December 1962. The trio each placed a £50 bet on the opposition to win, but maintain they did nothing to influence the outcome of the match. After a trial at Nottingham Assizes, they were handed four-month prison sentences in January 1965 and banned sine die from football, robbing them of their livelihood. Many observers claim that Swan, who made 19 consecutive England appearances, would have featured in the 1966 Word Cup winning side. Kay, who had moved from Sheffield Wednesday to Everton after that fateful match at Ipswich, scored in his one appearance for England. Layne, a prolific goalscorer, was believed to be close to receiving an international call-up. This powerful and thought-provoking documentary will explore how a small bet shaped the lives of three men who were at the top of their game, following the harsh punishment meted out to them.